The move to Kelvin Hall, funded funded by Glasgow City Council, University of Glasgow, National Library of Scotland, Scottish Government, HLF and Historic Environment Scotland, will see, among other treasures, 17 interiors designed by Charles Rennie Mackintosh for Miss Cranston’s Ingram Street tearooms take pride of place in publically accessible, environmentally controlled storage. Not only that but the museums’ collections will be part of a partnership with the University of Glasgow and the National Library of Scotland, which have moved their Hunterian Museum collection of more than 1.4m objects and Moving Image Archive respectively, from poorly accessible and poorly controlled storage facilities into the new centre. And it’s this partnership, which combines collections and resources under one huge roof, and the creation of a high density, integrated mezzanine, double height, roller racking systems that has revolutionised the management and accessibility of these three nationally significant collections. 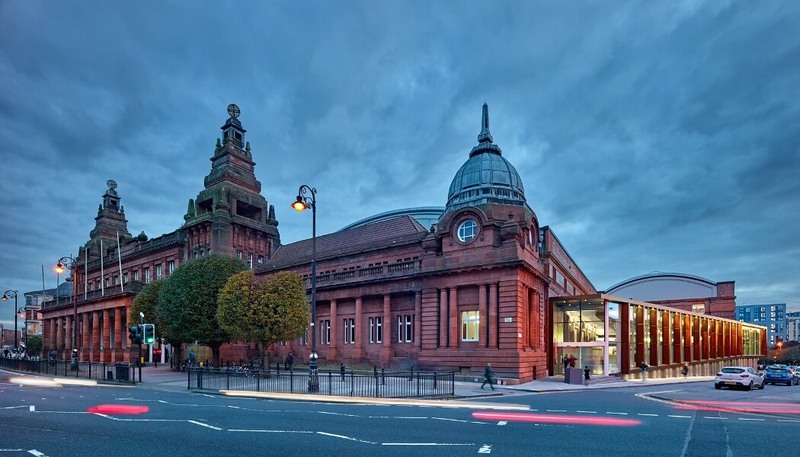 “Being in Kelvin Hall will allow us to offer a level of access never before possible for that part of the collection,” says Christine McLellan, Logistics & Programming Manager at Glasgow Museums. 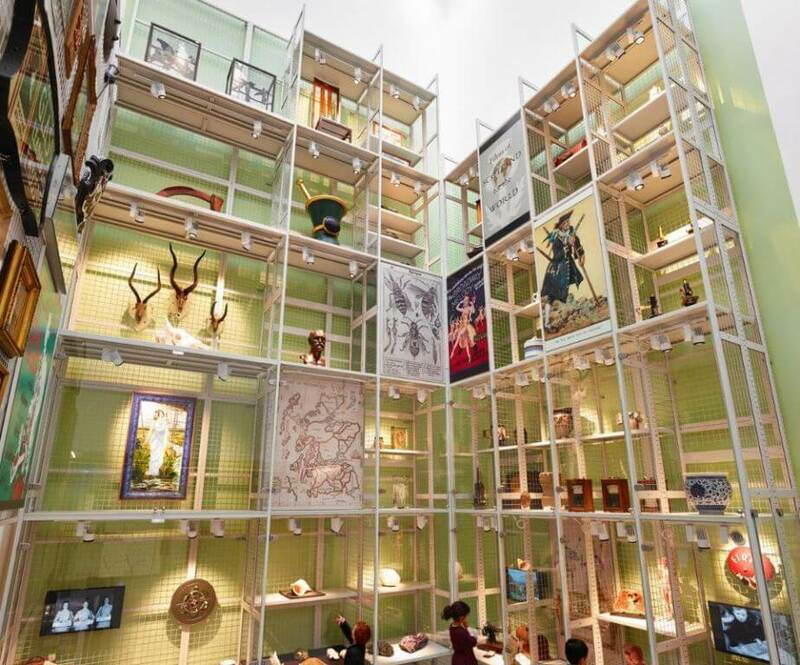 The project started eight years ago with the then head of museums and collections, Ellen McAdam beginning talks with the director of the Hunterian Museum about collections storage and the requirements of the two cultural organisations. As the talks for a new facility progressed between Glasgow Museums and the University of Glasgow, the city was also preparing for the 2014 Commonwealth Games. This resulted in a new purpose built arena for the city, which opened in 2012 and left the much-loved civic building of Kelvin hall, which was once been the national indoor arena, looking for a new purpose. The Museum of Transport, which also shared the building had moved to its new Riverside Museum location the previous year and this led the partnership to imagine the potential of what is one of the largest exhibition spaces in Britain as a new collections store. The National Library of Scotland had also been looking a new home for its Scottish Screen Archive, now called the Moving Image Archive, which was stored in an industrial estate at the edge of Glasgow with poor public access, the consequence of which was low footfall. “The Moving Image Archive has a new back of house facility in which to appraise, acquire, digitise, catalogue collections,” Ruth Washbrook. Moving Image and Sound Collections Manager, National Library of Scotland | Moving Image Archive. 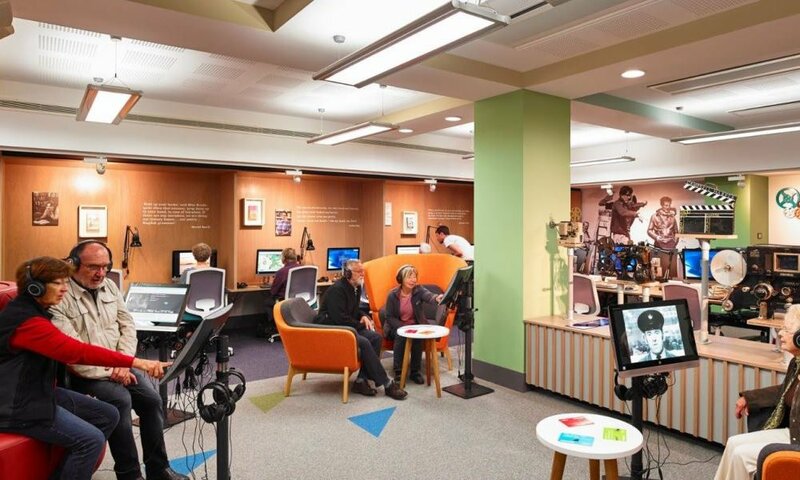 “The new access centre enables us to provide much quicker access to recently digitised collections and make a feature of them on the video wall or through our on-site and on-line catalogues. The master film vaults are off-site, so collections will be brought out to work on with the masters going back once preparation and digitisation has been completed. New workflows are being devised and put in place to streamline management of collections. Kelvin Hall has had a massive transformational effect on the moving image collections providing a showcase with a large 12 screen video wall, themed content and events programme. “Collection interpretation has increased greatly with workshops on ‘How to use film for local and family history’ to regular film screenings and workshops for the other National Library digital collections such as maps, e-resources and e-books and journals,” says Washbrook. 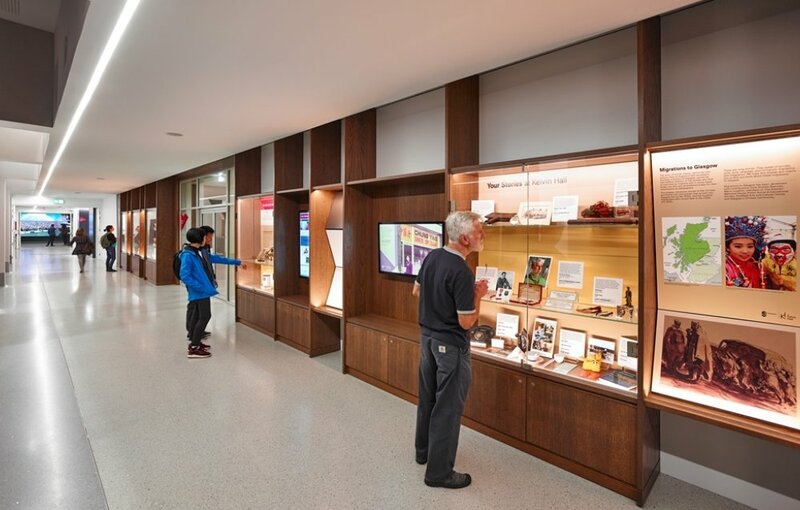 Over a two-year period, Kelvin Hall was transformed into a dual use facility of sports centre and fully accessible collections store for the partnership. Once the building works were complete and the building was handed over at the end of June 2016, Glasgow Museums, along with its partners, began to transfer their collections. “What we have now is as close to solid storage as you can get, while remaining completely accessible. You can access every single shelf and the entire store is environmentally controlled, there is a fire suppression system and full access to all levels. You can walk around the blocks of storage and you can open up an aisle in the high density system, and in terms of bringing objects in and out of the storage it is really easy and straightforward,” says McLellan. As part of the partnership’s HLF application its activity plan stated it would develop the collections together and also work on access projects together. As part of this Glasgow Museums has been working with community groups to utilise the collections. One example of this was a project called Going to the Dancing with a community group from the Glasgow suburb of Netherton. They looked through all three collections and used objects to tell their story about Going to the Dancing. The result was an organised, ticketed tea dance in one of the sports halls with people from around the city attending and taking part in old style dancing. One of the initiatives that Glasgow Museums has been involved in over the past two years is with the Paul Hamlyn Foundation to help put its visitors at the centre of its current and future work. McLellan says this is fundamental to Glasgow Museums because its collection belongs to the people of Glasgow and its wants to provide the widest possible access.